With summer arriving in the Southern Hemisphere and a multitude of Christmas, Boxing Day, and New Year's Eve events to discover, December is a great month to visit Australia on your family vacation, especially since schoolchildren in the United States celebrate their winter break this time of year. Keep in mind that with all these celebrations comes a number of nationwide public holidays, which means a large number of stores, restaurants, and other general businesses may close for certain periods, which may serve as an inconvenience. 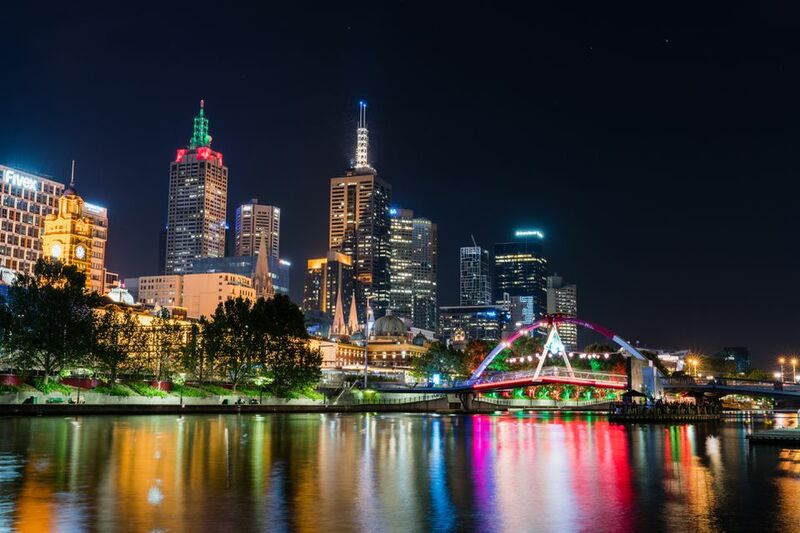 If you're planning a trip to Australia in December, be sure to check out the weather, leave your winter wear at home, and don't expect a white Christmas, but you can rest assured there are still plenty of great events and activities to get you in the holiday spirit all the way through to New Year's Day. With December ushering in the first days of Australia’s summer, the weather within all areas is quite warm. The temperatures hover above 70 degrees Fahrenheit (20 degrees Celsius) in most major cities, especially along the coast. When traveling to the Northern parts of Australia such as Cairns, Darwin, and outback areas such as Alice Springs in the Red Centre, the temperatures are more likely to average upwards of 86 degrees Fahrenheit (30 degrees Celsius) due to the tropical climate of the region. This tropical climate also comes with a higher chance of rainfall, and monsoon season starts north of Australia in mid-December, but in other parts of the continent, especially along the central eastern coast, rain is much less likely—though you should make sure to check the weather before you pack for your flight to see if you need a raincoat! Although Australian Christmas traditions share some similarities with those of American culture, there's a number of different ways Aussies celebrate the season, and one of the most popular Christmas celebrations happens on a beach in Sydney. Each year, over 40,000 tourists and residents visit Bondi Beach on Christmas Day to sing carols, enjoy the sun, or have a BBQ picnic on the beach, and if you're visiting Sydney earlier in the month, you can check out "Carols by the Sea" on December 13, a free concert at the Bondi Pavilion. The Penguin Parade on Phillip’s Island is a one of a kind experience that happens on the outskirts of Melbourne. With penguins marching all along Phillip’s Island during this festive time, it’s a perfect way to celebrate an evening in December in Australia. If you're visiting Australia but don't really care for the holiday crowds and events, there's also a number of great ways to spend your time in the country as it kicks off the summer season like attending a barbeque at a local's house or even going out to one of the local restaurant's "BBQ Afternoons." The Moonlight Cinemas are another iconic Australian pastime held all across the country for a relatively low cost. These special outdoor screenings allow families and friends to relax and unwind under the stars on a warm Australian summer's night, right in the middle of December. For yachting and sailing enthusiasts, Boxing Day (December 26) is the start of the 70-year-old annual Sydney Hobart Yacht Race, which starts in the Sydney Harbour and ends 630 nautical miles away in Hobart, Tasmania. If you're planning to visit Sydney over Christmas (but not for the holiday), this internationally recognized yachting event transforms the Sydney Harbour into a flurry of beautiful ships and the shore into a celebration of all things yacht. Most retailers and restaurants tend to remain open during public holidays in December, but many charge a small surcharge to compensate for penalty rate payments to staff. December is the start of beach time in Australia. Check out the Sydney and Melbourne beaches. You may want to visit Jervis Bay with its Guinness Book-listed whitest-sand beaches. But be safe on Australian beaches, and be wary of the poisonous box jellyfish, including the deadly Irukandji jellyfish, along the north Queensland coast past Great Keppel Island. If beaches aren’t your thing, there’s still plenty to do during December, including visiting some of the country's diverse bucket-list worthy attractions. If you plan on staying in the city, though, there are some special Christmas events like singalongs and lighting ceremonies to keep you in the holiday spirit. School holidays run from Christmas through the end of January, so the whole country is crowded with residents and tourists. Hotels can be book almost a year or more in advance, so plan for the best deals—or expect to pay a premium. Rental cars are also more expensive. In many parts of the country, bugs, like flies and mosquitoes, are prevalent. Mosquito repellant is useful. Heat can be excessive throughout much of Australia. Prepare yourself by drinking plenty of water, seeking shade (or air-conditioning) during the hottest parts of the day, and applying plenty of high-factor sunscreen. Additionally, the wet season in the tropics can cause excessive humidity in some places. Tropical cyclones (aka hurricanes) aren't frequent but do occur on occasion.